Whether you're writing an article or posting on Social media, how you handle the truth can make or break your reputation as a writer. Finding the truth often takes some serious detective work. To our advantage, the Internet has the right tool for every occasion. We've all seen the bogus urban legend that has floated around the web for a decade. Tale spinners change names, not to protect the innocent, but to update the story so it appears to be current. What about the "news" article that is more fiction than fact? Some sites that claim to be satire would be better described as tabloids. How do you distinguish between what is true and what is not? How do you know that clicking that link won't end at some site that hacks your accounts, steals your identity, and leaves you with a screen full of indestructible pop-ups? Then, there are those pages and pictures that are hands off due to copyright. You shouldn't repost or reprint them without permission, but how do you find their origins? Each of the following sites can help you solve these problems. WOT (The Web of Trust) "WOT is a free community-powered website reputation service. WOT tells you which websites you can trust based on other users' experiences. It protects you from threats that only humans can spot, such as scams, phishing, and bad online shopping experiences. "The beauty of this service is that community members rate and/or review the websites. When you click a link, a life-saver shaped donut in your browser bar tells you how community members have rated the site. The white donut means the website is unrated. The other WOT icons rate websites from red (most dangerous) to green (safest). WOT alerts you to websites that have malware or scams before you are caught in their web. Take the WOT tour for further details on the Web of Trust. "Copyscape is a free plagiarism checker for finding copies of your web pages online. 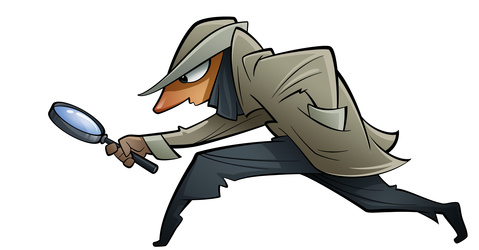 Copyscape premium provides two more professional solutions for preventing content theft and fraud. The foremost use of Copyscape is to help you check whether your words are yours. Put any text into Copyscape. It will scour the web looking for it and then let you know where it found the text. You know it's a quote but you don't know where it's from. Put it into Copyscape and it will tell you. Do you think someone is using your content without your permission (i.e. infringing on your copyright)? Put it into Copyscape. You're covered there as well. Trying to track down an Internet legend? Put it into Copyscape and learn where to find it and how long it's been floating around. TinEye Reverse Image Search has 16.3 billion images indexed and is growing. TinEye does for images what Copyscape does for text. David Mikkelson founded the snopes.com website in 1995. Snopes began as an expression of his interest in researching urban legends. It has since grown into what folklorists, journalists, and laypersons regard as one of the web's essential resources. "If you want to know if it's fact or fiction, tabloid or truth, urban legend or current event, make snopes.com your first stop. Snopes was the Internet's first fact checker and, in my opinion, remains the Internet's best. In writing, small details often make the difference between the believable and the unbelievable. These tools help you build credibility, which maintains your integrity as a writer.